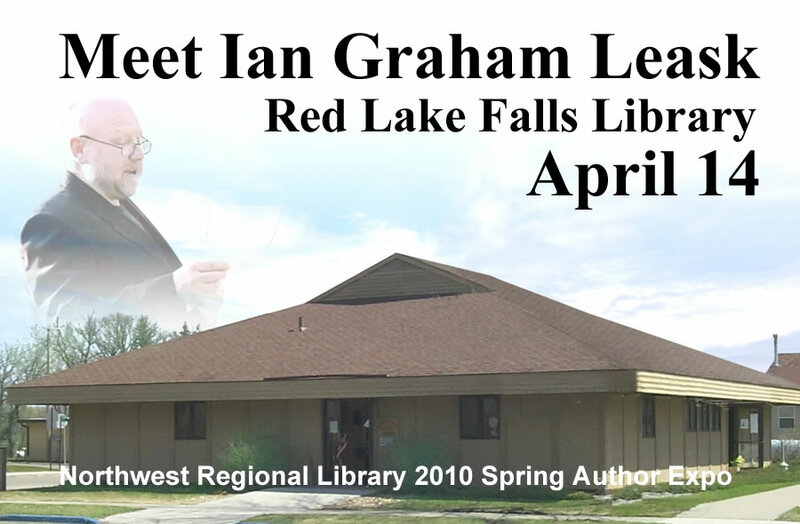 Red Lake Falls Public Library hosts writer's workshops with author, publisher, writing coach Ian Graham Leask as part of the seven week Spring Author Expo. Host of www.QueueBooks.com, a reality-based editorial service, Ian recently launched, with some very bright colleagues, a new critique service for writers called AuthorScope. Author, publisher, writing teacher and coach, Ian Graham Leask spent over three hours yesterday coaching local writers at the Red Lake Falls Library. His visit is part of the Northwest Regional Library's 2010 Spring Author Expo, featuring seven authors, in seven libraries over a seven week period of time. Leask has been a writing coach for over sixteen years, teaching at all age levels with the University of Minnesota, COMPAS writers-in-the-schools, The Loft, and various other colleges and arts-oriented organizations and language schools. He is the CEO and managing editor of a new publishing company SCARLETTA PRESS which you can check out at scarlettapress dot com. The program consisted of a realistically helpful overview of the writing and publishing industry in 2010. Authors enjoyed both instruction as well as one-on-one support with their writing projects. For details about upcoming events or to listen in on yesterday's training online, visit NWRLib dot org. Expo Producer, Marnie Swedberg, brings experts to the general public locally, online and via teleconference training sessions. Visit her at Marnie dot com.